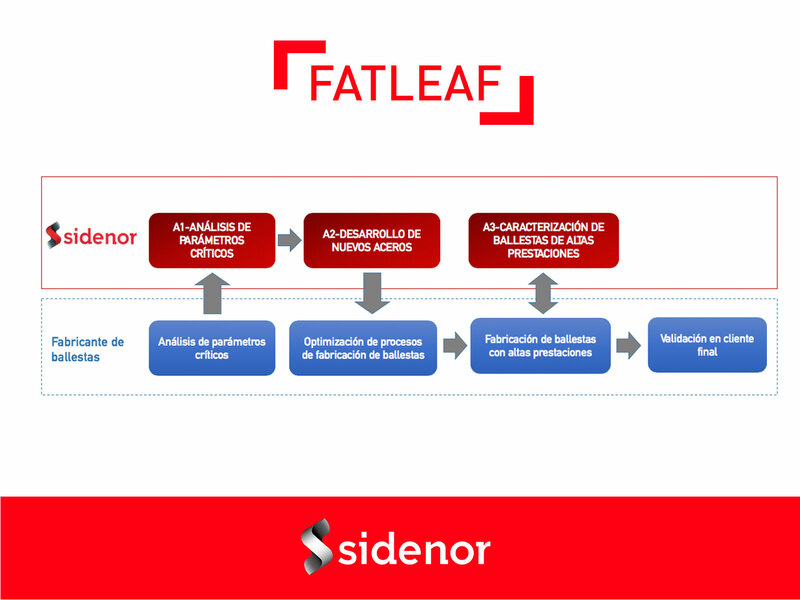 The FATLEAF project, presented by Sidenor within the framework of the HAZITEK 2018 call, has finally been approved and awarded aid in the form of a grant amounting to 112,212.50 €. 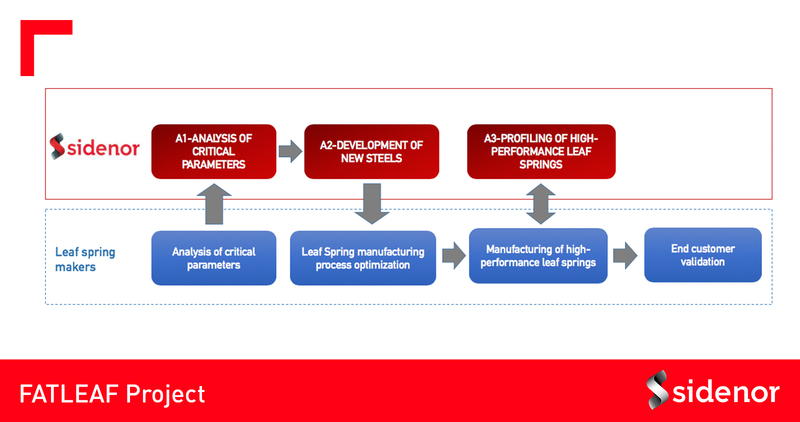 The FATLEAF project mainly aims at developing new steels for manufacturing springs for heavy vehicles with improved resistance and fatigue strength. – An average toughness above 10 J, without any punctual value below 10 J during profiling. – A fatigue behaviour which allows for over 105,000 life cycles of fatigue life under dynamic loads of 723± 634 MPa. The following picture shows the outline of activities scheduled for the project, undertaken by SIDENOR, and links it to the tasks to be performed by the spring manufacturers (outside the project scope, but linked at operational level). The project started on March 5th, 2018, and will end on December 31st, 2019. Its total budget amounts to 226,617.50 €, while the aid corresponding to the first instalment (112,212.50 €) has been granted.